History: Students attended Offutt Air Base School during 1951-52 when Wherry Housing opened. The school consisted of temporary frame military buildings that were moved to Wherry to accommodate the 700 new children moving on base and needing to be educated. Bellevue Public Schools opened Betz Elementary in Fall of 1952. In May, 1951, a newspaper ballot was printed for readers to send in their votes to name the new school. The vote for South Ward produced an easy result – Betz Elementary School. Betz Elementary was named after Dr. William Betz, a physician who cared for people in the Bellevue community for over 50 years and served on the Bellevue Board of Education. School Purpose: To empower students with the tools they need to experience success as lifelong learners. A couple of major projects were completed in 2018 at Betz. The first project involved the replacement of the entire roof system. 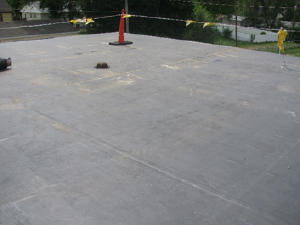 The roof had been identified in a previous study as one being in severe need for updating and was completely replaced. New metal fascia was also installed around the building to eliminate the need for maintenance by the District. The major project at Betz involved the replacement of the existing steam heating and central chiller air conditioning equipment with a new Variable Refrigerant Flow (VRF) heating and cooling system. This new system should provide a highly efficient mechanical system which provides more individual controls in the individual building areas and should provide energy savings to the District over the life of the system. Replacement of the existing roof system has been completed by Mejia Roofing Company. The existing metal fascia system (some areas dating back to the 1950’s) was also replaced as part of this project. 2018. 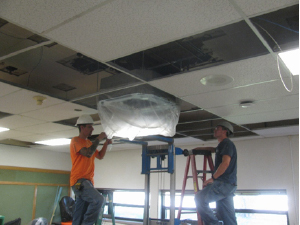 Work is being performed by Lueder Construction to complete life safety, building security and HVAC upgrades at Betz Elementary School. Life safety and security considerations that will be taken care of include the installation of a fire sprinkler system throughout the building and inclusion of a new security entrance vestibule at the main building entrance. The proposed bond work also made provisions for replacement of miscellaneous pieces of mechanical equipment around the building. The existing building heating and cooling system consists of a steam boiler and a central chiller unit. The District decided to analyze the planned expenses on the existing building system to determine the best solution on moving forward on upgrading the HVAC system in the building. A study was completed by Advanced Engineering Systems, who is the HVAC engineer for the project. With the age and condition of existing building systems as well as the inefficiencies of the existing building systems, the HVAC engineer concluded as part of the study that an alternative HVAC solution to the existing system may be a better direction to go. Based on the study of the building, it was determined that a variable refrigerant flow (VRF) system would prove to be a more cost effective and efficient solution to operate the building. This solution would also provide more individual control in the building for the building occupants. It was determined by the Board that the existing mechanical system will be replaced with a new variable refrigerant flow (VRF) system using the bond money allocated as part of the project and then supplementing the remainder of the system upgrade costs with funds from the District Building and Site fund after review of the bid costs that were received on the project. 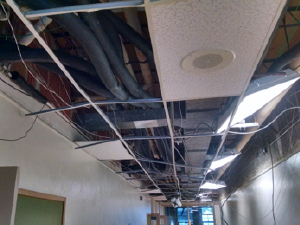 Work for the initial phase of construction (which constitutes approximately 80% of the west portion of the building) is scheduled to be completed by the start of the school year. The remaining work on the east classroom wing will be phased in during the first couple months of the 2018 school year. It is anticipated that all work will be completed by approximately the end of September 2018. The District is also working with OPPD on potential energy rebates for using the new VRF system as a means to reduce energy consumption. 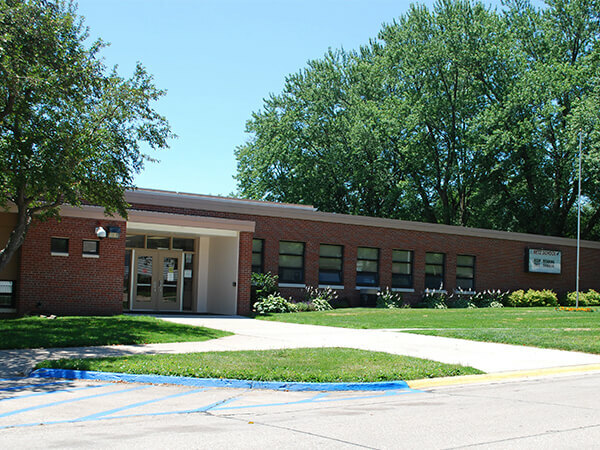 The Bellevue School Board approved the award of a contract to Lueder Construction to complete life safety, building security and HVAC upgrades at Betz Elementary School. Life safety and security considerations that will be taken care of include the installation of a fire sprinkler system throughout the building and inclusion of a new security entrance vestibule at the main building entrance. Bids were received on the project on April 16th, 2018 and Lueder Construction was approved by the Board to perform the work scheduled on the project. It is anticipated that work will begin on the project in May and will be completed in mid-Fall 2018. 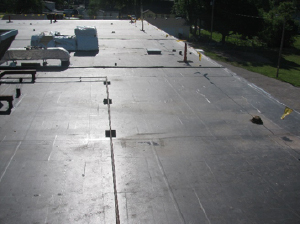 The Bellevue School Board has awarded a contract to Mejia Roofing Company for the replacement of the existing roof system for Betz Elementary School. Preliminary work will begin in mid-May and with work anticipated to be completed in early July 2018. Life Safety/HVAC Upgrades: The Bellevue School Board has approved the process of going out to bid for planned work at Betz Elementary to complete life safety, building security and HVAC upgrades in the building. Life safety and security considerations that will be taken care of include the installation of a fire sprinkler system throughout the building and inclusion of a new security entrance vestibule at the main building entrance. The proposed bond work also made provisions for replacement of miscellaneous pieces of mechanical equipment around the building. The existing building heating and cooling system consists of a steam boiler and a central chiller unit. The District decided to analyze the planned expenses on the existing building system to determine the best solution on moving forward on upgrading the HVAC system in the building. A study was completed by Advanced Engineering Systems, who will be the HVAC engineer for the project. With the age and condition of existing building systems as well as the inefficiencies of the existing building systems, the HVAC engineer concluded as part of the study that an alternative HVAC solution to the existing system may be a better direction to go. Based on the study of the building, it was determined that a variable refrigerant flow (VRF) system would prove to be a more cost effective and efficient solution to operate the building. This solution would also provide more individual control in the building for the building occupants. It was determined by the Board that the existing mechanical system will be replaced with a new variable refrigerant flow (VRF) system using the bond money allocated as part of the project and then supplementing the remainder of the system upgrade costs with funds from the District Building and Site fund after review of the costs that are received when the bids come back in. It is anticipated that bids will be received in late April. If approved by the Board, work will begin in May and will be completed in mid-Fall 2018.